Man Died After Not Paying Attention Not To Go Swimming With His New Tattoo! As the news releases, an unidentified 31-year-old guy lately went swimming in the Gulf of Mexico five days after getting a fresh tattoo on his right calf. Obviously, he consciously left on the recommendation to wait for at least 14 days before swimming. 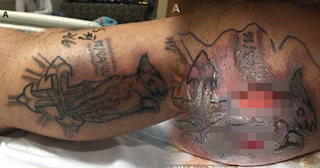 But since his tattoo was still fresh, it became infected with a flesh-eating bacteria that tore lumps out of his skin and eventually led to his death. 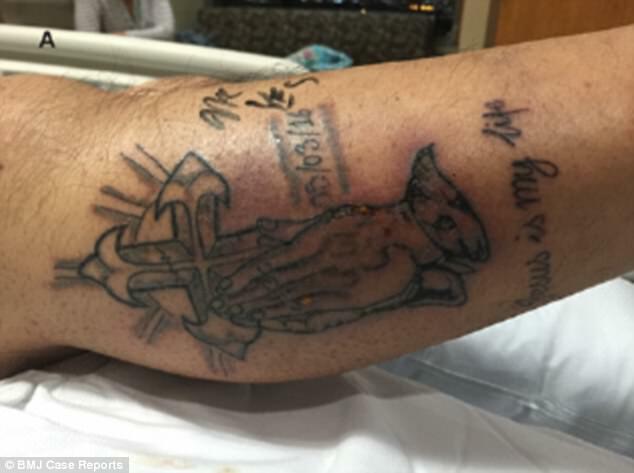 A man acquired sepsis after bathing in the Gulf of Mexico with his new tattoo. The tattoo got severely contaminated, the day after he swam, he acquired a fever, had chills, and even had a red rash near the inked skin. His status got serious after two days and so he was hurried to a local hospital. Doctors found purple patches on his legs – a general sign of infections – and his condition worsened over time. Doctors immediately suspected the vibrio vulnificus bug to be responsible for it because the man already suffered from cirrhosis, which was caused by the man’s daily habits of drinking six 340ml (12 fl oz) bottles of beer daily. Experts pointed out that the guy’s weak liver made him prone to catching such an infection. This is mostly because bodies with chronic liver disease have low levels of neutrophils which are white blood cells that defend the body against bugs. Within 24 hours, his condition went from bad to horrible as his organs started failing. The doctors decided to place him on a life support machine. Things got better in two weeks time as he was cleared of symptoms but unfortunately, his body gave in to septic shock and his kidneys completely failed. He died after two months of being admitted to the hospital.